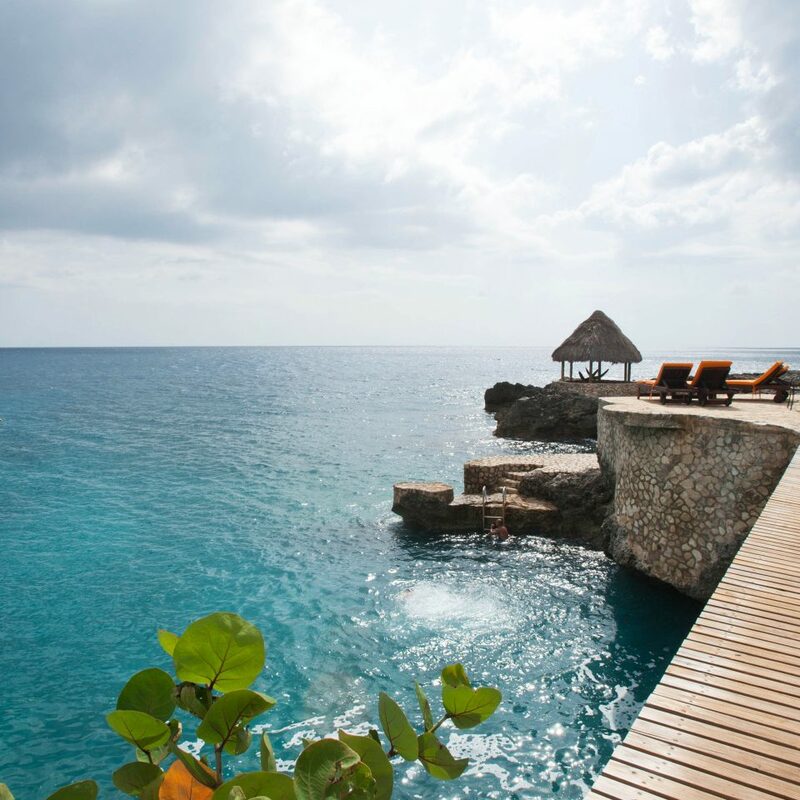 With 17 secluded cottages linked by stone paths and wooden walkways that meander along the cliffs in Negril’s West End, Tensing Pen is one of Jamaica’s best-kept secrets. 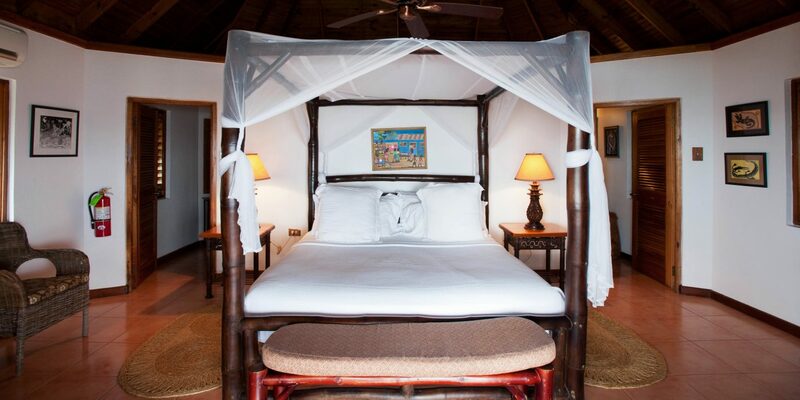 Thatch-roofed pagodas and hammocks dot the resort, and bright orange double daybeds and lounge chairs encircle the pool. The partially open-air restaurant and bar features oversize lamps and bamboo paneling, giving it a relaxed, safari lodge feel. 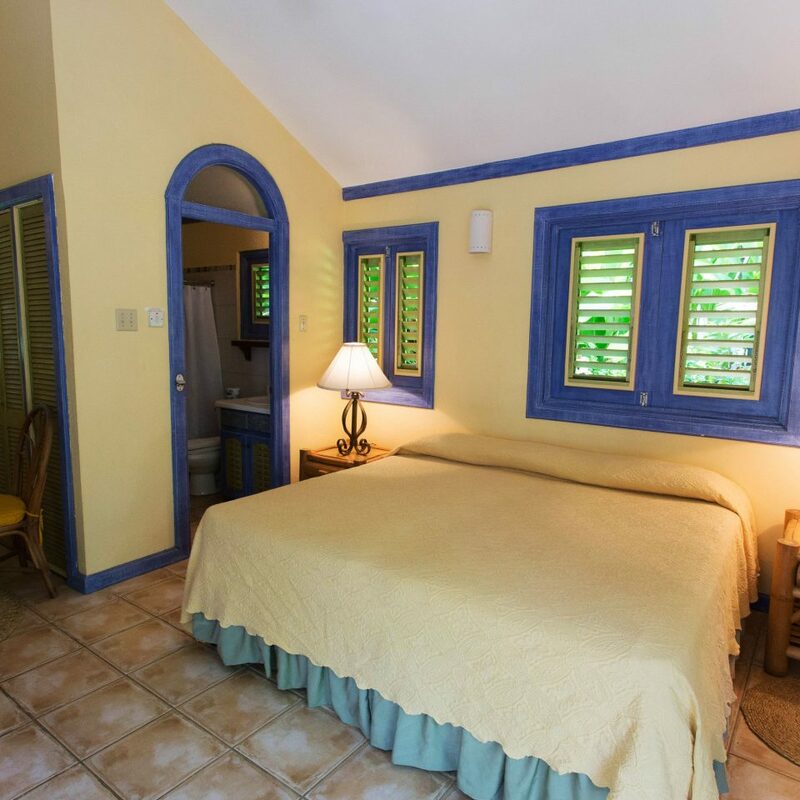 Many of the cottages feature verandas or balconies with sea views, and the rustic guestrooms are proudly gadget-free: Don’t expect a TV or phone (they do have WiFi, though). 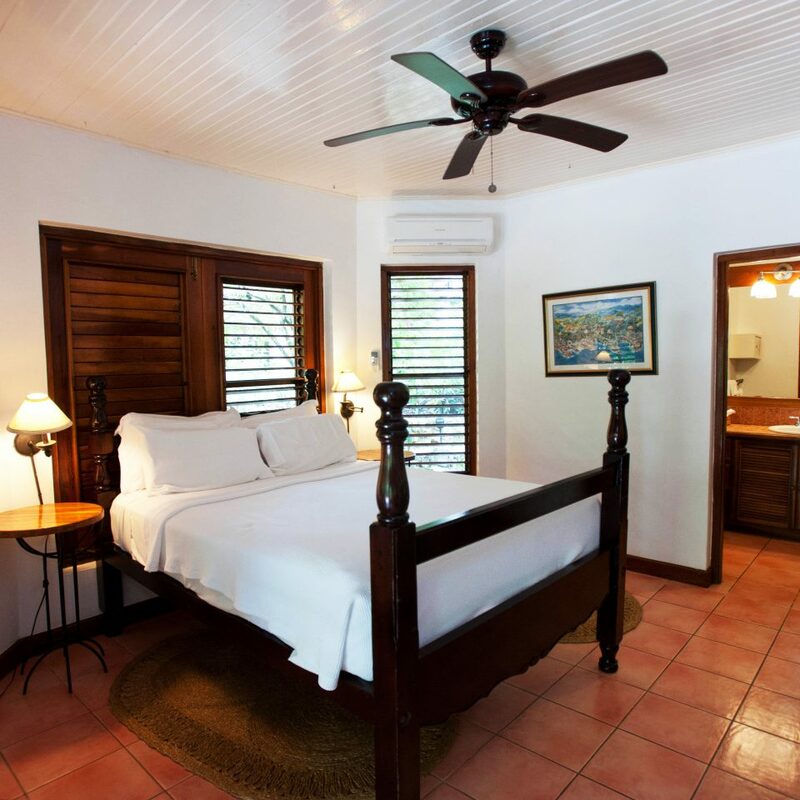 Local artworks and a simple earth tone palette create a serene vibe, and the dark wooden shutters keep things cool. The bathrooms have huge rainfall showers and come with thoughtful products like aloe vera after-sun oil. 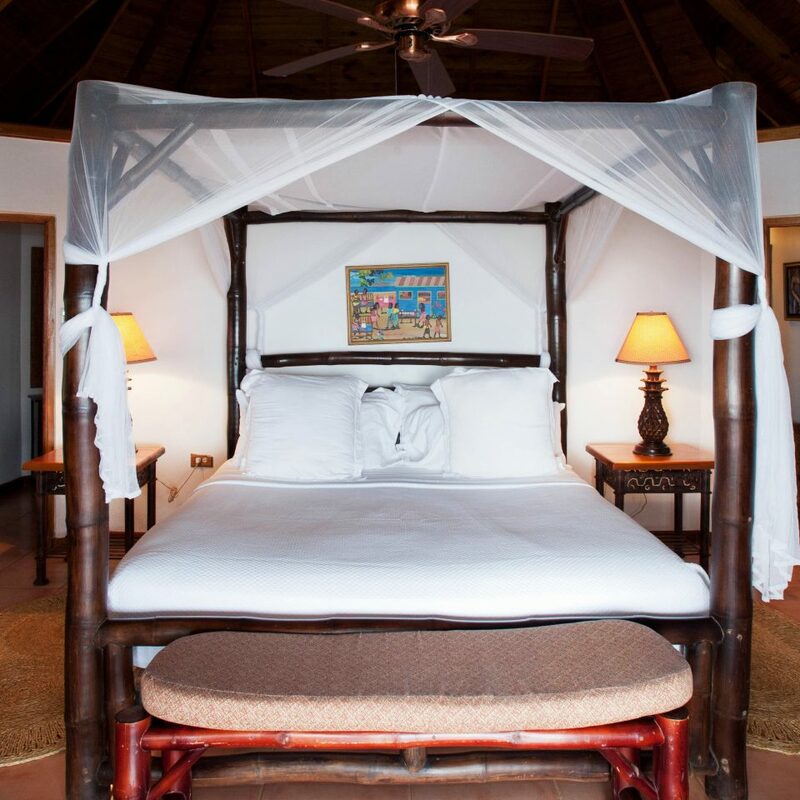 Splurge on a Sea Grape or Pillar Cottage for a true Robinson Crusoe experience; these luxe stilted-treehouses are located on their own private coves and feature a secluded outdoor shower. This laid-back retreat encourages rest and rejuvenation, from the rainbow-colored hammocks shaded by palm trees to the cliffside pagoda, which hosts morning yoga sessions. 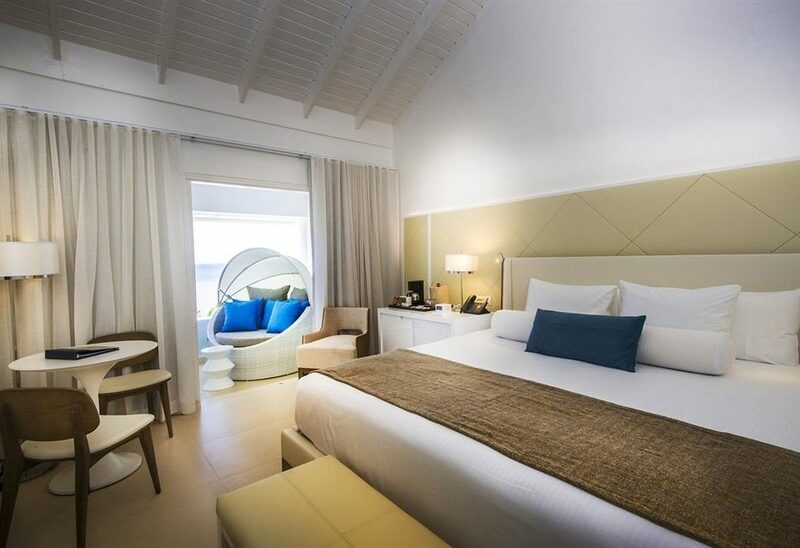 The sprawling grounds have lots of secluded areas with lounge chairs and intimate tables for two, perfect for sipping a rum cocktail in peace. 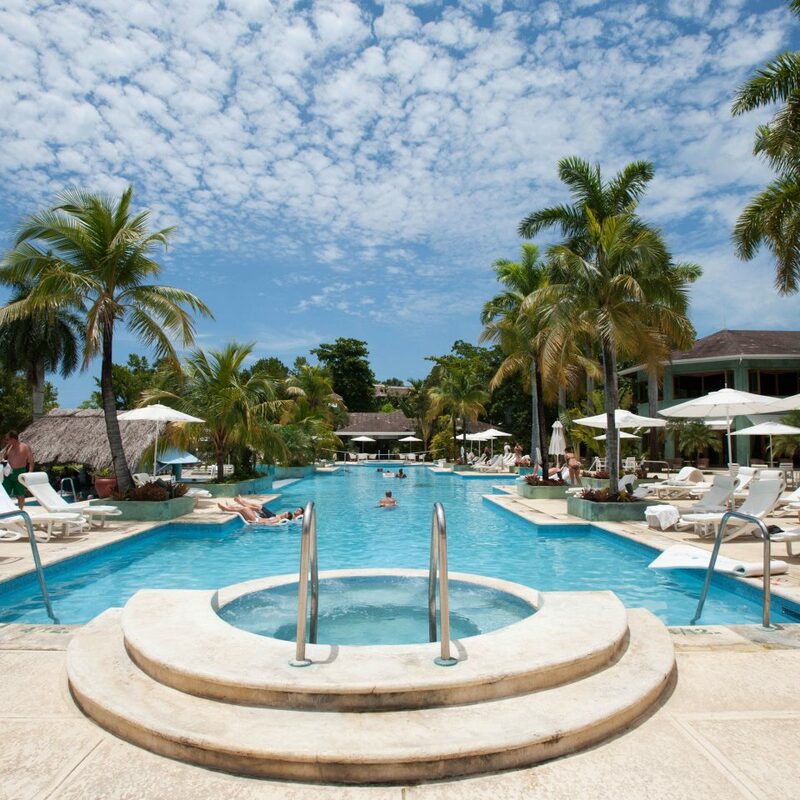 The main restaurant and bar overlooks the pool; breakfast (included) is simple and delicious (local bread, fruit and yogurt served with Jamaica’s famous Blue Mountain coffee), while lunches and dinners (fresh fish, grilled meats and seasonal dishes) are among the best in the area. For some serious pampering head to the wellness pagoda for a massage, scrub or facial. 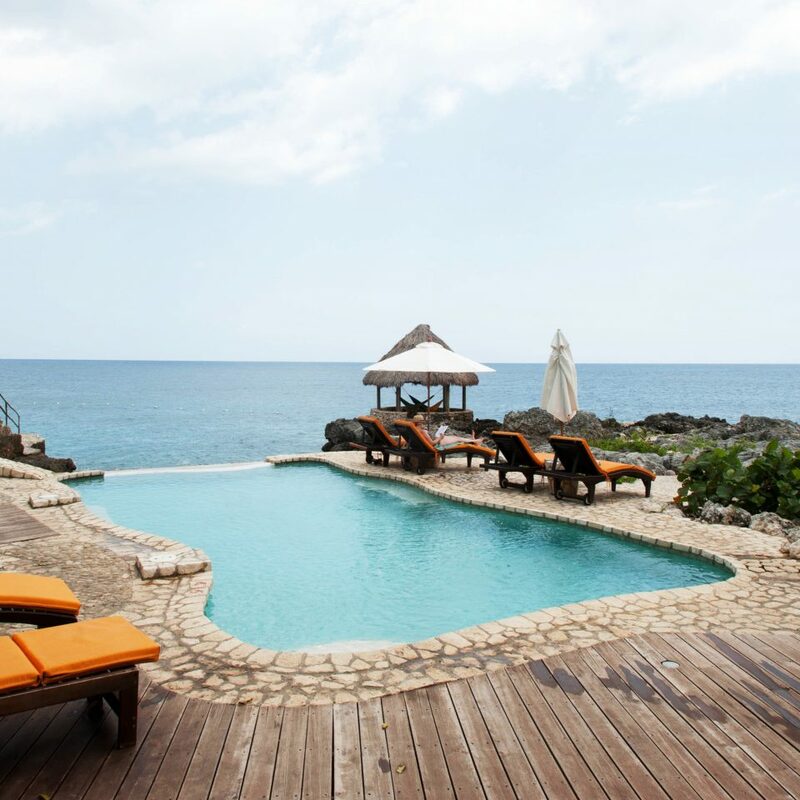 Located on the cliffs in Negril’s West End, Tensing Pen is a 10-minute taxi ride from spectacular Seven Mile Beach, a tropical strip of white sand and impossibly turquoise water. You’ll find all kinds of action here, from huge reggae gigs to oceanside fine dining. 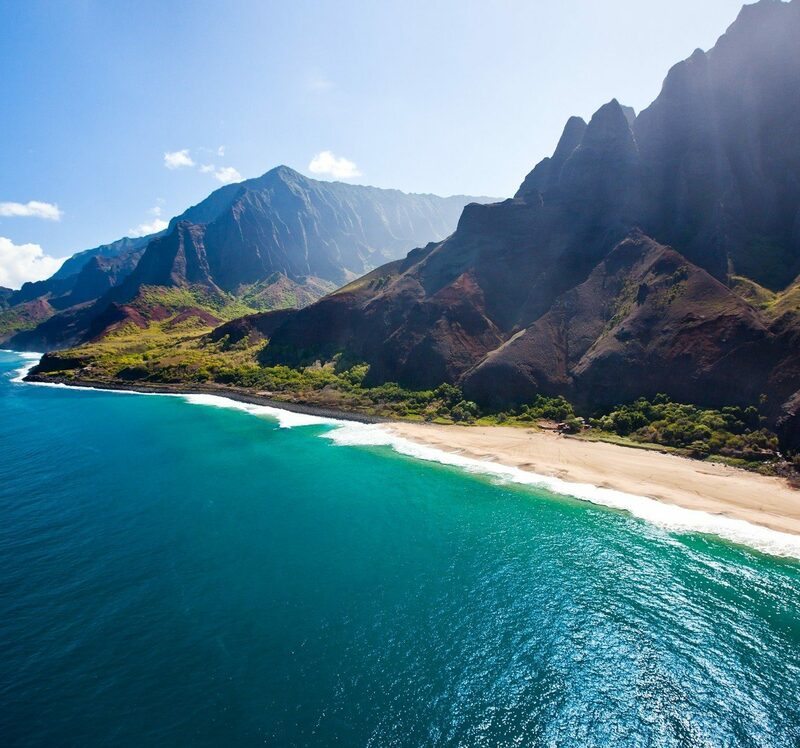 It’s also the place to go for water sports, including kayaking, paddleboarding and snorkeling. Farther afield (about a two-hour drive) is Appleton Rum Estate, where you can learn about the production process and sample one of the finest rums in the world. Stop off on the way back at YS Falls, an idyllic series of waterfalls surrounded by lush jungle. Cool off in the mountain waters or get adventurous on the on-site zipline. 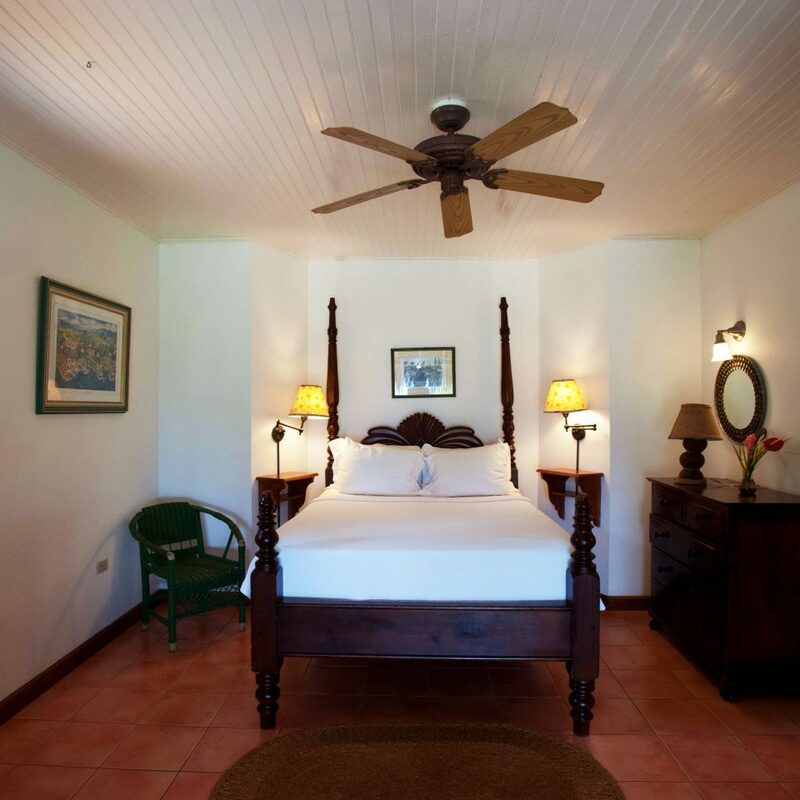 We spent four nights in this lovely boutique resort, in the Garden Bungalow. 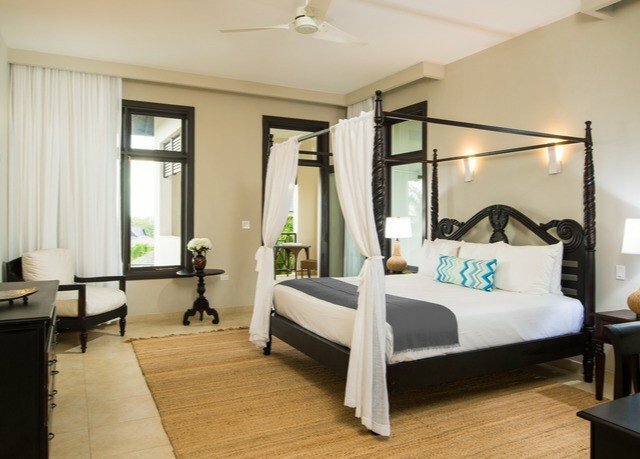 The room was simple but charming, the bed very comfortable and breakfast delicious. The pool and cliff areas stunning. Snorkelling straight from the cliffs (lots of ladders if you don't want to jump!) was fun, but we also enjoyed a snorkelling trip with Vincent to the reef and island, good reef with lots to see. Didn't bother with the beach as we were travelling on to other beach areas and the swimming was so good from the rocks. We ate in the restaurant twice for dinner, it was very good. Service all round excellent, and so friendly. Thank you for a great stay. The staff here was quite good. We arrived and because of off season and not as many people we were upgraded. We actually heard quite a lot of road noise and asked to move rooms. They were quite quick to accomadate us within a few hours our room changed. We might not have been as lucky if the resort was full but it worked out great. Second room was so quite. I believe there are a few rooms close to the street noise that could be a major bother. 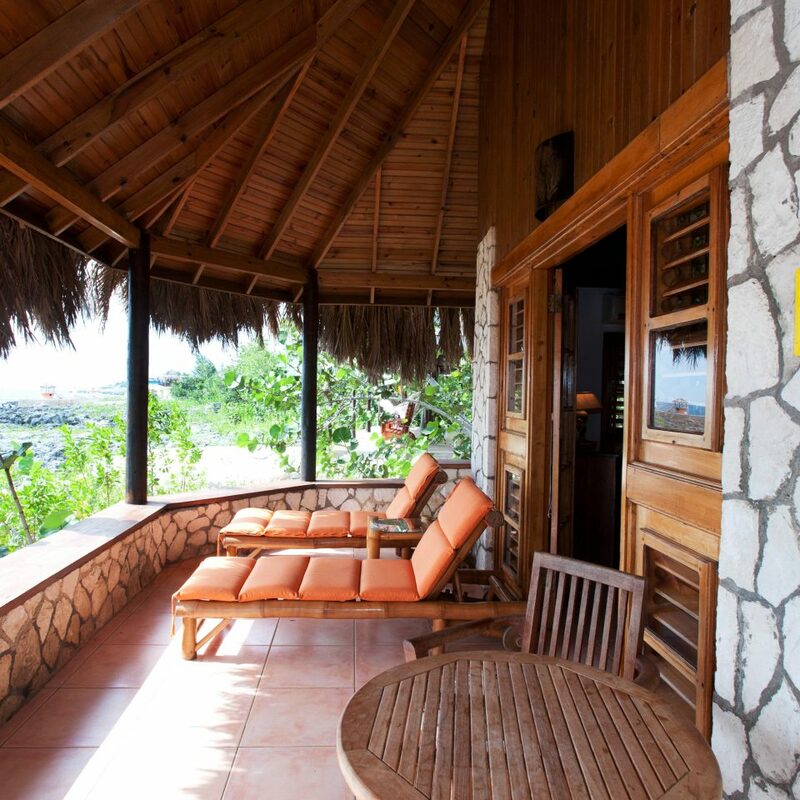 However, most rooms are more close to the water. Hearing the ocean is so nice. The pool might get packed if many guests but it was almost never more than 2-4 people in usually less when I walked by. The jump spot is very fun. The chairs and hammocks all around are nice. Breakfast is not eggs and meats like we are used to in the states. However, this was a nice way to shed some pounds and eat healthier nice breakfast. They had strong coffee, so many tea options, fresh fruits, yogurt, nice breads, and peanut butter. We also had opportunity to order from menu if desired. The hotel arranged for a boat ride to booby cay the day after we arrived. The bot driver Sun Baby was very nice and gave us plenty of time. Jamaican time here. Boat ride was supposed to be 2-2.5 hours but we were gone from 9am-3pm. So just be prepared to take your time. It was so much fun though. I have a feeling Negril area can be too crowded in full on summer months. However, pick a decent off time and it’s great. We drove rental car to Jamwest AtV ride and the Blue Hole Mineral spring. These two places are only an hour or less drive away. Overall; the staff was great and friendly. They seemed to care. I only did not like the slow time to get our check at dinner service. Most the staff was great otherwise. We stayed for five nights at Tensing Pen and I cannot say enough about how much we loved it!! This was our first time in Negril and Jamaica and we were so happy we chose Tensing Pen from the moment we arrived. We stayed in Middle Pillar; we loved the open air and the sounds of the sea. The pillars are wonderful, private, but with amazing views. All of Tensing Pen is peaceful, romantic and relaxing. The water is beautiful, turquoise blue against the cliffs, perfect for swimming and cliff jumping! Do not miss the wonderful massage - super relaxing with the sounds of the sea, nothing like anything we have ever experienced. The location is also great. 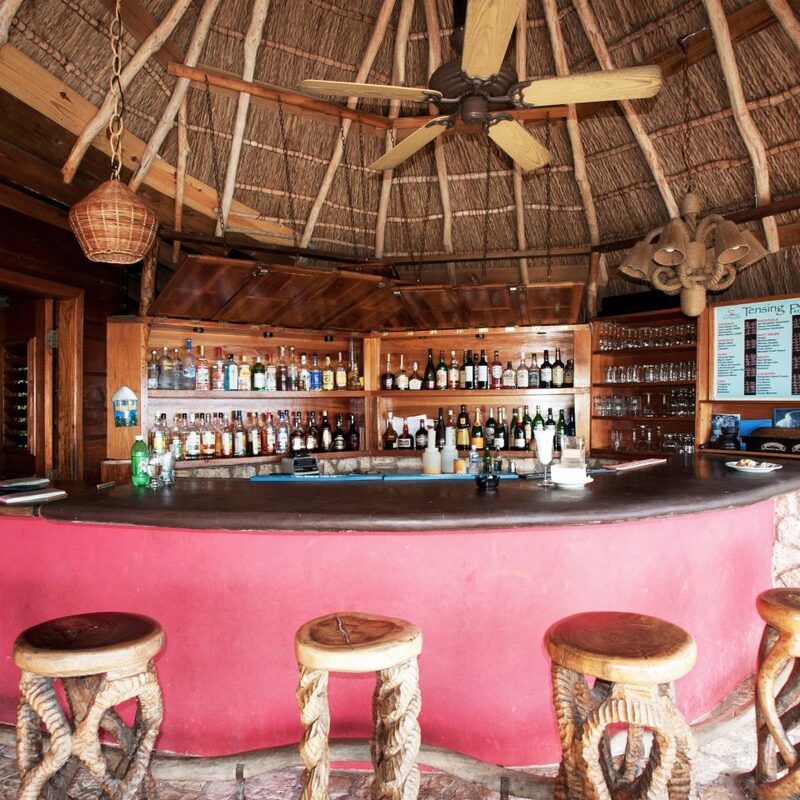 You can easily walk to little local places for lunch or Rick's Cafe, but TP's Lodge restaurant and bar are so great you could also choose to never leave. 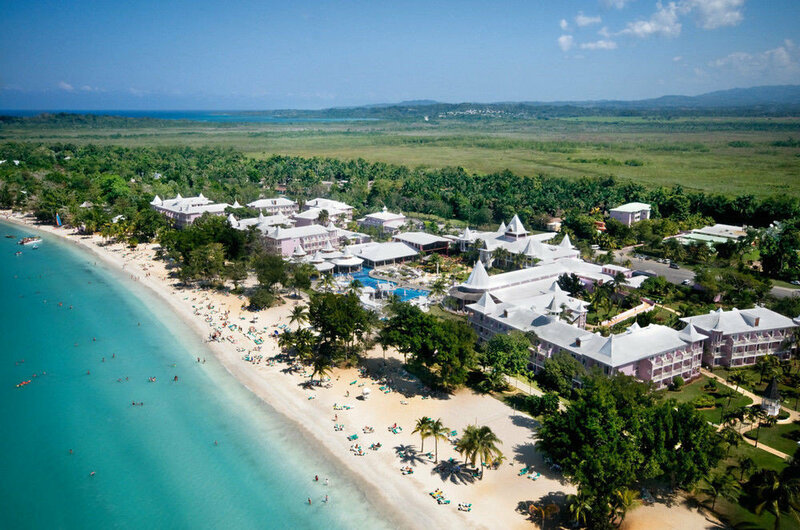 Because it was our first time to Jamaica, we booked our last three nights in Montego Bay and we were so sad to leave Tensing Pen and Negril when the time came. Next time, we will stay at Tensing Pen for the entire vacation!! We definitely plan to return. Still beautiful, calm, and pleasant after 25 + years of visiting. 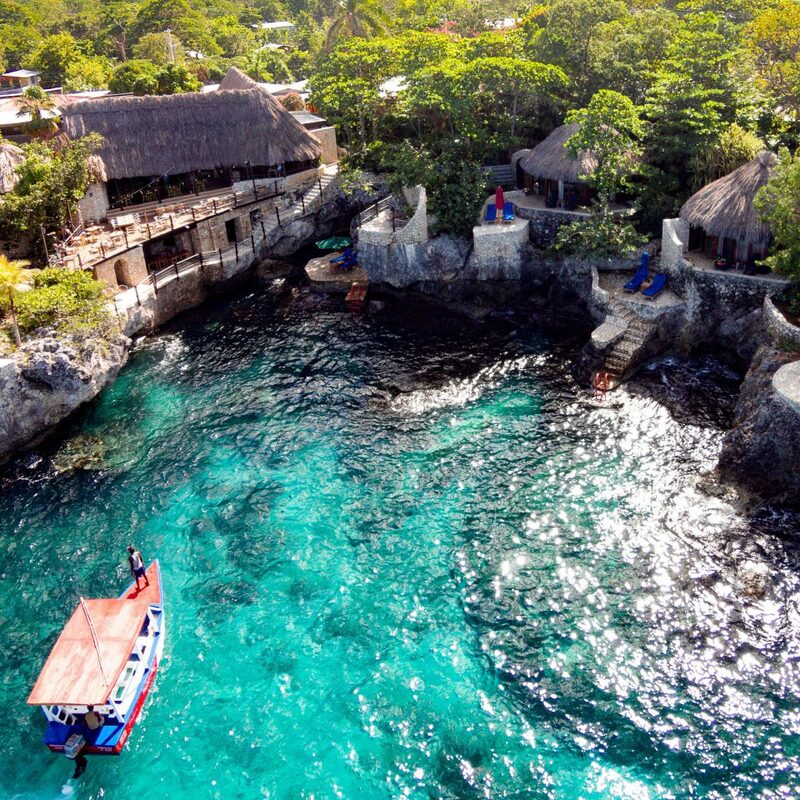 Tensing Pen is a small cluster of raised individual Pillars, and stone cottages, mostly for 2, separated for privacy by well tended flowering trees and shrubs along the cliffs of the West End, Negril, Jamaica. 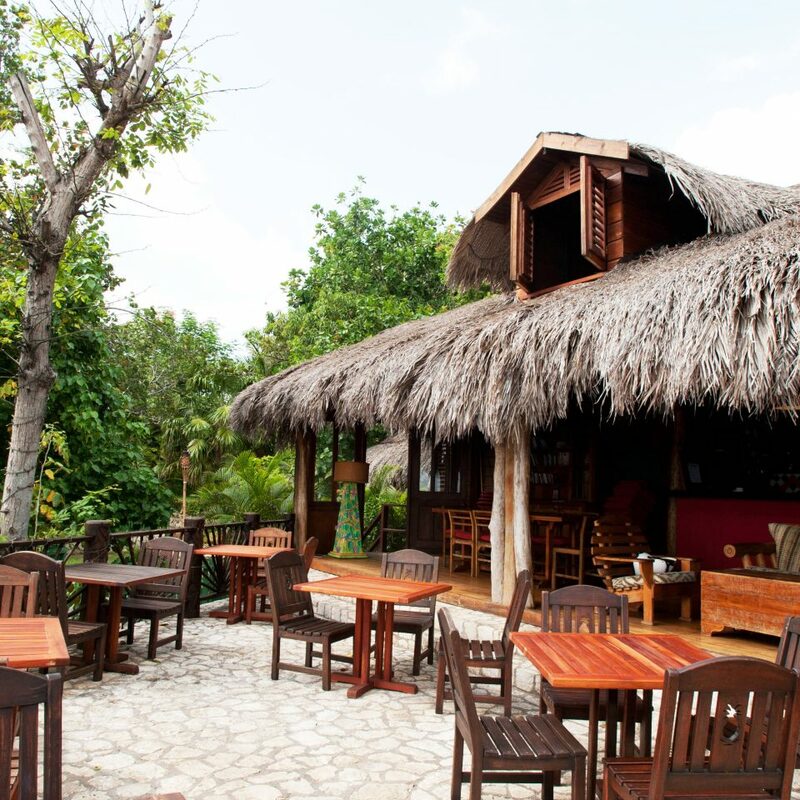 The restaurant's food and service are excellent and get reviews at the highest levels in Negril. Nearby, more low key locally owned and operated restaurants and food stands provide delicious Jamaican food variety. 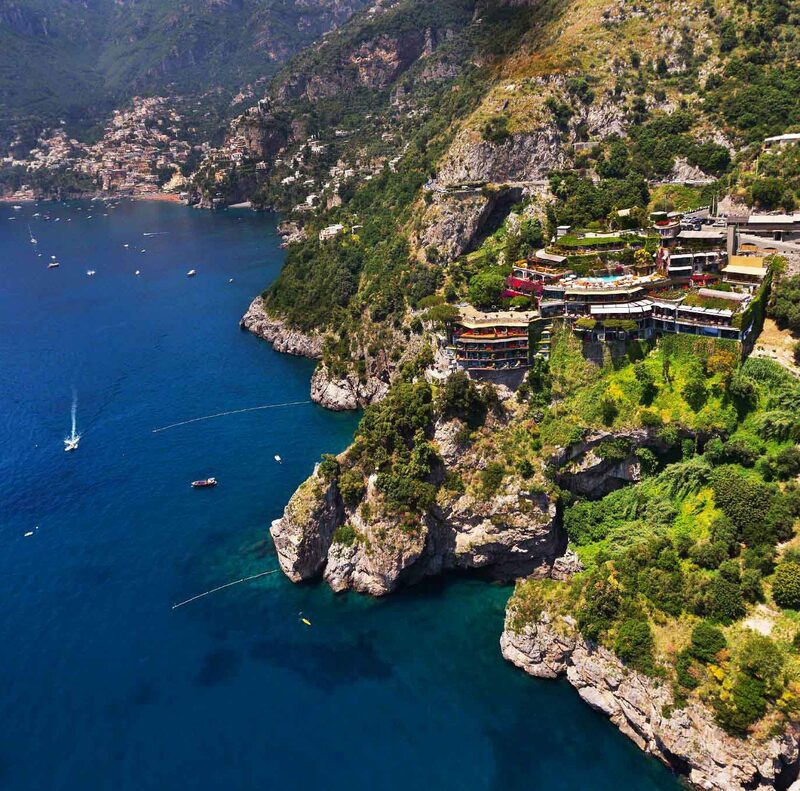 Views and the amazing contours of the site facing west towards the sunset are unique in the green lushness of the well and quietly tended plantings and the narrow winding cliff top paths wandering the resort. Sea bathing is from various height ledges and ladders into 18' deep clear ocean. A few new buildings offer larger accommodations than previously, so a few families with children are making a bit more impact to the calm, and the separate little buildings are no longer quite as private as they once were, but still way better for our life style than the popular bigger facilities. This is not, or should not be a "bring the kids for an action vacation" place. The staff is competent and very friendly. 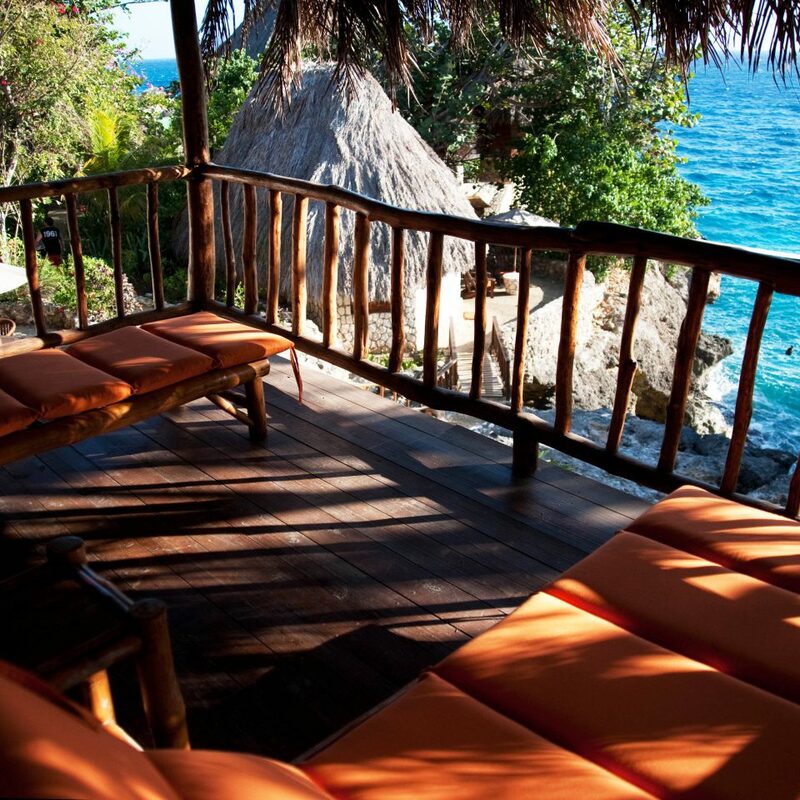 Still the best adult stay in Negril - maybe in all Jamaica. We love it. We had a wonderful stay st Tensing Pen. The resort is wonderful for people looking for peace and quiet. The settings looks like paradise. It is perched on cliffs. My only regret was that snorkeling is not great from shore. You need to get on a boat for good snorkeling. We loved Famous Vincent. He got in the water with us and made sure we didn’t miss a thing. If you’re a foodie, you won’t be satisfied.